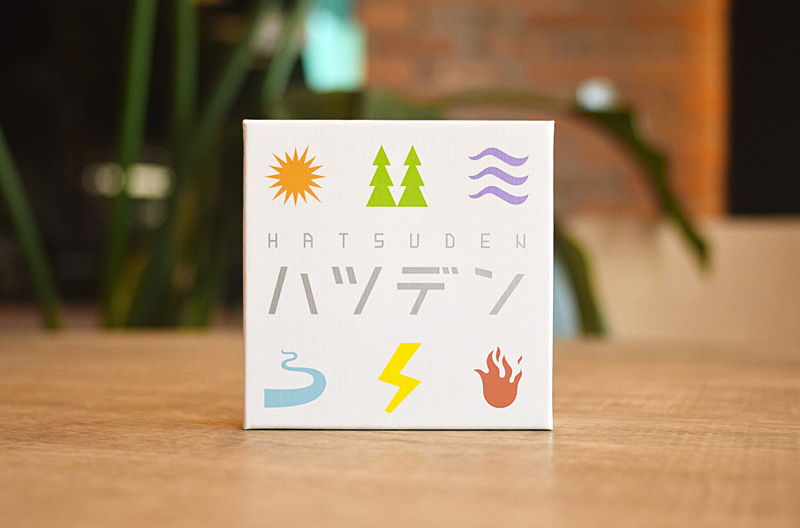 itten is a Japanese game brand that creates original unplugged games – from board games, card games, dexterity games to field games. You and the city lights make it just right. 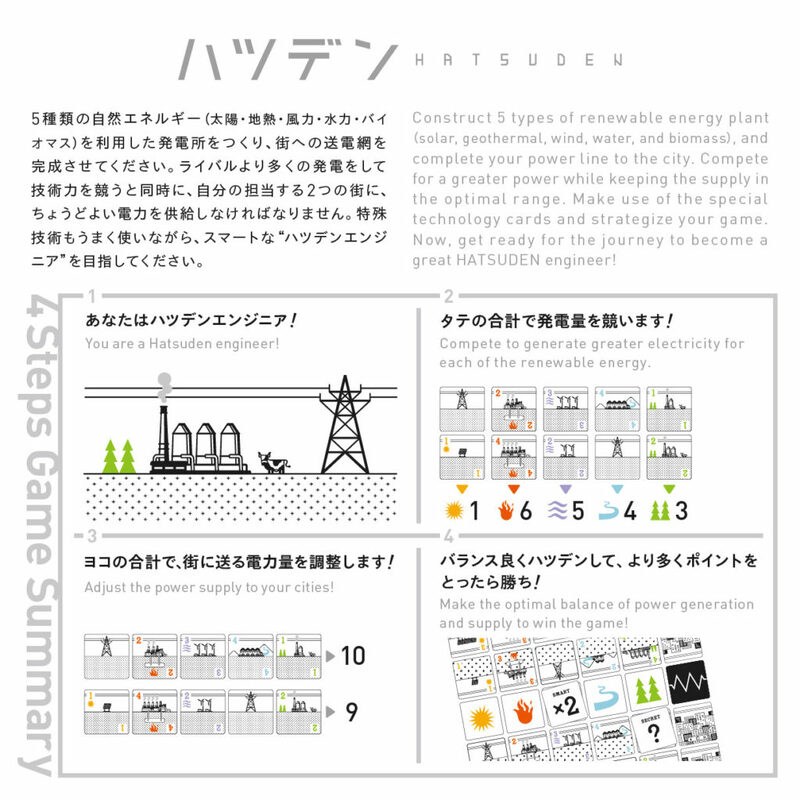 Hatsuden* is a 2 player game with a theme of renewable energy and the urban electricity supply. 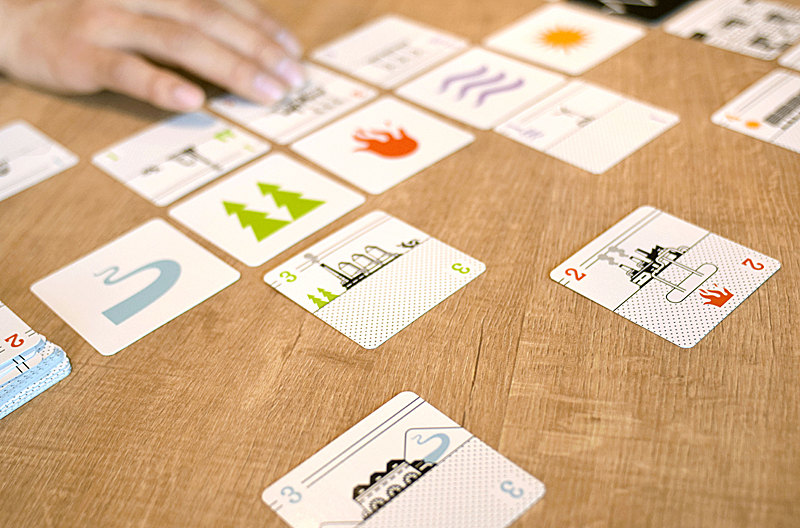 Although minimal in system and play time, it has a thrilling game plot and the result is never predictable. It’s a game for players of all ages. Please give it a try! 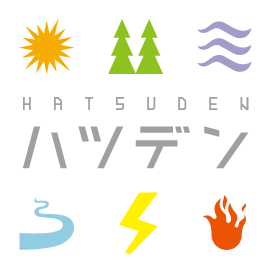 ※Hatsuden means “generation of electric energy” in Japanese. Construct 5 types of renewable energy plant (Solar, Geothermal, Wind, Hydro, Biomass) and complete your supply system to the city. Compete for greater electricity, while making sure to keep just the right amount for your city’s demand. 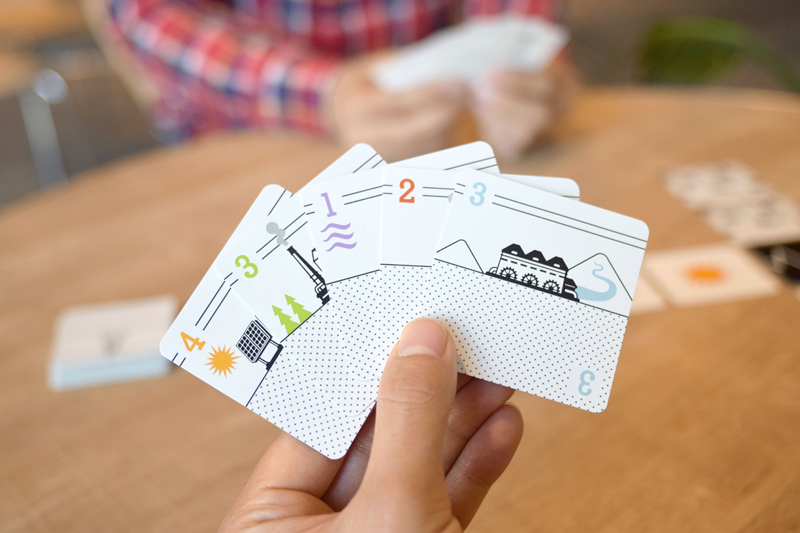 The special technology cards play a pivotal role as the game develops. 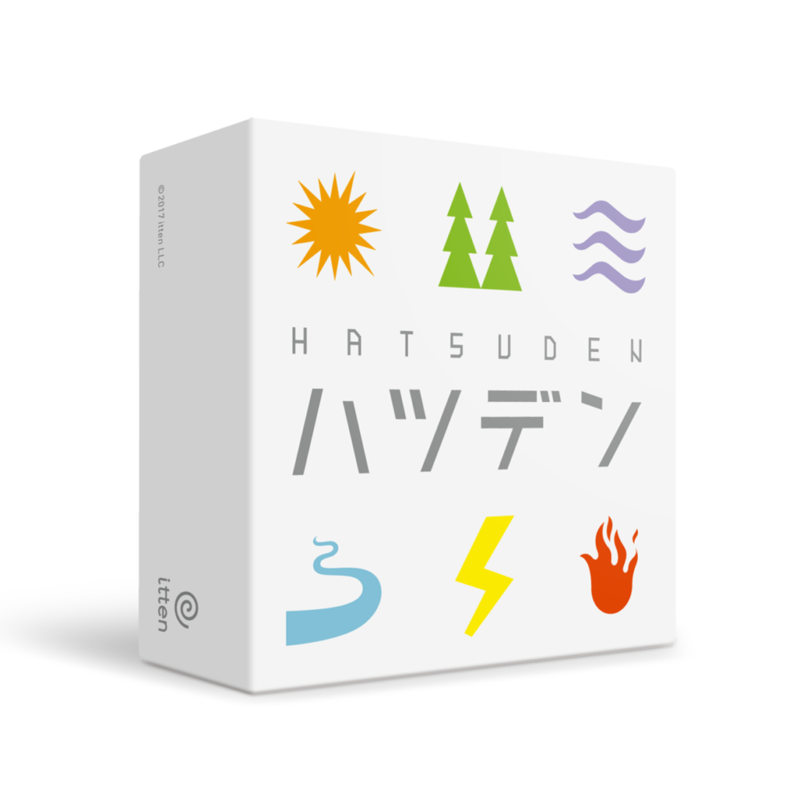 Now, head out to the journey to become a great “Hatsuden” engineer! Below is the 4 steps game summary. Please use it to grasp the basic rules of the game.